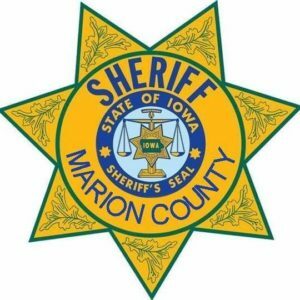 IN THE PAST TWENTY-FOUR HOURS MARION COUNTY SHERIFF’S DEPUTIES RESPONDED TO 15 CALLS FOR SERVICE INCLUDING BUT NOT LIMITED TO: ONE WANTED PERSON CHECK, FOUR MOTORIST ASSISTS, THREE SUSPICIOUS ACTIVITY, ONE TRANSPORT, ONE FOLLOW UP, TWO PAPER SERVICE ATTEMPTS, TWO RECKLESS DRIVER, AND ONE FIRE CALL. IN THE PAST TWENTY-FOUR HOURS THE MARION COUNTY SHERIFF’S OFFICE COMMUNICATIONS CENTER FIELDED 78 CALLS INCLUDING 9 911 CALLS. THE MARION COUNTY JAIL IS CURRENTLY HOLDING 43 SUBJECTS.